Experience the Difference at Waverley Park Dental Care! Our dental team makes every effort to put you at ease while providing you with the high-quality services you need. Whether you seek to improve or maintain your oral health or are seeking more complex work, we’re ready to assist you. When you visit us for dental treatments, we’ll always put your needs above all else, which means crafting a unique, custom care plan to help accomplish your goals. Care with our dentists and entire team is always respectful, honest and effective. We’re happy to welcome patients of all ages into our friendly and inviting practice—that means you can schedule visits for the entire family all at once, making care convenient for you. To find out about the types of treatments we offer, please view our services section to the left. 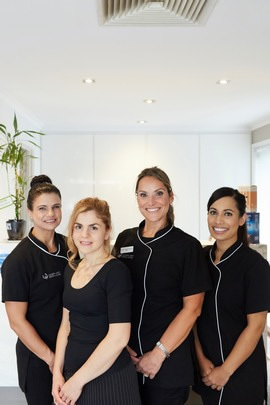 Ready To Discover the Waverley Park Dental Care Difference? If you’re ready to take your oral health to the next level, contact us today to get started! We offer late appointment hours and Saturday visits.